Sprint's Play for DSL Customers? The New York Times runs down what cellular data networks are, where they work, and how to use them: It’s a good introductions, and it’s part of their Basics series, so nothing new in this item. I’d take issue with three points raised, however. First, the intro states, “Wi-Fi, the wireless networking technology that can create an invisible field of Internet access over a limited area, has revolutionized the world of mobile computing.” The last clause is true, but cellular base stations also create service over a limited area; putting them in overlapping areas creates seamless coverage, same as with metro-scale Wi-Fi. My caveat, Wi-Fi is designed to cover a limited area where cell and WiMax are not. Second, no mention of adding EVDO or UMTS service on an existing cell phone instead of purchasing a PC Card. This tethered option often comes with a smaller price tag for unlimited service. Cingular doesn’t offer HSDPA phones yet, so it’s no really worth getting a UMTS phone today for that purpose along. Third, while the last section notes that Verizon and Cingular told the Times reporter that sharing a connection violates its terms of service, Cingular has authorized use of the Junxion box. And the Junxion box isn’t really designed for SOHO users; Kyocera’s is. Junxion’s cell-to-LAN bridge has been certified by two of four major carriers: While Verizon Wireless continues to posture against any but very limited uses of its 3G cellular networks, its two largest domestic competitors have certified Junxion wireless wide area network (WWAN) to LAN/WAN bridge. The Junxion Box was one of the first of its class—a few devices in limited distribution preceded it—and has faced continued skepticism about carrier adoption even as the company has pushed boxes out the door. They don’t disclose sales figures, but they look awfully happy these days. At CTIA, both Sprint Nextel and Cingular had Junxion Boxes in their booths and actively talked up the product as a wireline failsafe and a mobile workgroup device, among other purposes. Unlike most competing devices, including the Linksys box that Sprint will resell primarily for the consumer market, the Junxion equipment can accept most PC Cards using most 2.5G and 3G standards, including EVDO and UMTS. 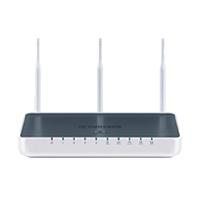 The Junxion has an Ethernet switch and built-in Wi-Fi. It can also create a VPN connection from itself to an end-point elsewhere. Junxion offers a variety of management tools to help larger firms pull together statistics and configure units as a whole rather than one at a time, even when in the field. News.com speculates that Sprint’s near-term release of a Linksys cell-to-LAN bridge is a play for DSL subscribers: They bury the real answer to their analysis, though, which is that even with the slow DSL speeds possible with EVDO Rev. A, which Sprint expects to roll out in early 2007, the current pricing is $14.95 for similarly fast Verizon DSL and $80 per month for Sprint. The News.com article says “$60” per month for Sprint, but that rate is only available for a two-year commitment to existing voice subscribers. I keep seeing articles cite $60/month as the base rate for EVDO, and that’s just not the case, even though many users may choose to grab the bundle.